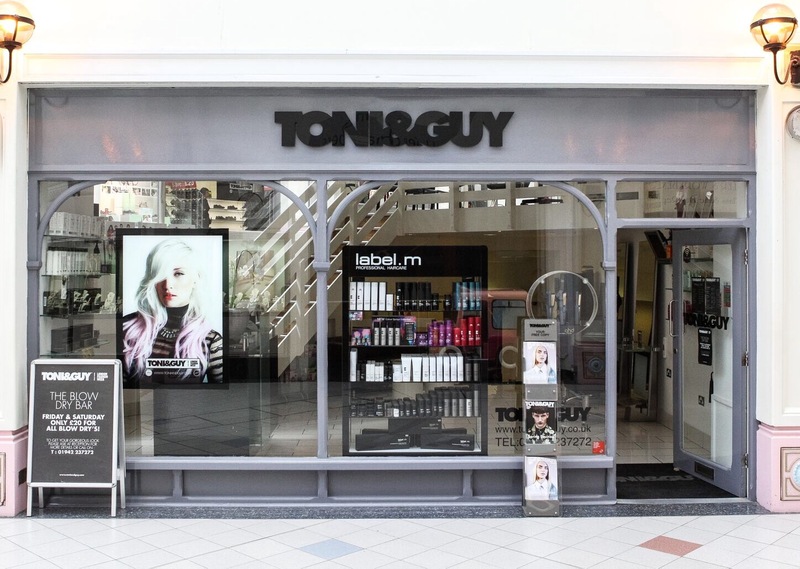 TONI&GUY Wigan opened in 2003. We are committed to providing the ultimate salon experience, paying great attention to customer service. Members of our Colour team hold the prestigious L'oreal Master Colour Expert accolade- their knowledge and expertise are on hand to advise you on the latest colours and techniques. We offer many additional services including Bridal and Occasion hair, the NanoKeratin Smoothing blow-dry and Raccoon Hair extensions. Our wide range of haircare products include label.m, Kerastase, GHD to keep your hair salon perfect until your next visit. Bring out the best in your hair and wellbeing with the indulgent TONI&GUY HAIRSPA. We have six hair and scalp restoring in-salon treatments available. Hairspa has been designed to target your specific needs, whether it’s a deep condition to nourish your dry hair or a revitalising scalp treatment. Using expert head massage techniques combined with the award-winning label.m professional haircare range and hot towel wrap; you will feel and notice the improvement instantaneously. With tailored aftercare available to take home, you will continue to benefit from your treatment until your next appointment. If you and your hair deserve some extra special attention, call the salon to book a free expert HAIRSPA consultation today. Absolutely amazing cut, by Darren, as always!! Wouldn’t dream of going anywhere else in Wigan to have my hair styled! Olivia was so lovely considering I only wanted a fringe cutting in, wasn’t too much trouble and gave me good advice on what would suit me most. Thank you! Every time Darren cuts my hair, I get so many compliments. His hairdressing skills are first class. But to be honest, for someone who doesn’t like going to the hairdressers, all of the staff make the whole experience rather enjoyable. There is no messing about or hanging around and you are always made to feel like you are the most important client in the salon. Thank and well done to all the staff in the Wigan salon! Hi Karen, what an amazing review, thank you so much its really appreciated and means so much to us all. Lewis always does a fabulous job with my hair, can’t ask for anything more really! Hi Laura, thank you so much for a great review, it means alot to us to know our clients are happy. Lewis cut my grandaughter Laceys hair and straightened it she loves lewis doing her hair she loves the pampering she always looks forward to coming to the salon . Hi Jean, Lacey is such a sweetie, always great to see you both. Amber is clearly an artist with hair colour. So I seriously rate the skills of staff here. That said, staff are evidently overworked and are therefore cramming as many jobs in as possible. So frequently (always in my case) whilst you may pay for a senior technician, you might not get that throughout the entire service. So in my case, the toner was not applied by the stylist I booked with. This is not a criticism of my colourist, it is a criticism of a company that, I presume, underpays staff to the point where multiple jobs must be crammed in. Amber was working on another client, as well me, so often I was sat with dye on my head too long, or at a sink with wet hair whilst another member of staff conferred with her (whilst she's working on another client) before taking over the job of finishing my hair. Toni and Guy should better reward their staff for their skills. The benefit would be twofold, happier clients and properly awarded staff. Nonetheless a fabulous job done, so many thanks Amber. sorry your experience at the salon wasn't what you expected. We're a very busy salon, we do try our best to look after our clients the best we can. If you wish to discuss further we'd be happy to talk with you. Lovely salon experience as always. Thanks to Madison and all the team. Special mention to the young lady who washed my hair, very attentive and great customer service. Hi Shan, thank you so much for a great review. Lovely to see you as always. Madison did a great job today. The treatment that I had was suitable for my hair type and my hair looked and felt much better. My cut was nice and as I wanted. Hi Alex, thank you for a great review. I'll be sure to pass it on to Madie. Hair coloured by Amber snd cut by Linda. Ella shampooed and did fab head massage when applying treatment. Relaxing, fun and very good results! Hi Stephanie, so lovely to see you, thank you so much for your review its greatly appreciated. Absolutely superb experience! Delighted with the service I received from Darren myself and my daughter are thrilled with our cut and loved the finished look, we will definitely be returning. Hi Kirsty, thank you so much for a great review, it means so much to us. She was great- a first time haircut with this stylist and she did a wonderful job. Great communication, fantastic attention to detail and a lovely finish. I will be back! Hi Sarie, Olivia will be so happy you love your hair. We all love what we do and there's nothing better than knowing our clients are happy. Hi Rita, tahnk you for your review, always lovely to see you. always cut to my liking !!! Great customer service (special mention to the receptionist I forgot your name I'm sorry). Linda is always enthusiastic and creative, helping me choose a haircut that suits me. The result is always amazing and I get compliments all the time. Hi Jess, its Hazel. Thank you so much for a great review, it means alot to all of us. Hi Paula, thank you for a great review, always lovely to see you. Hi Jez, thank you so much for a great review, really appreciated. Tidied up and restored to feeling good!! Hi Brenda, thank you for your review. Always lovely to see you. Hi Bev, thank you for such a great review. Liv will be happy to know you enjoyed your visit to us. We appreciate all our clients and nothing better than knowing they're happy. Love visiting Toni & Guy, feels like coming back to a family you haven't seen for ages! Hair cuts, washes etc are suited to the customer completely and always what YOU need. Free advice and a lovely chat with friendly people. Would absolutely recommend to anyone and everyone. Hi Erinn, what a great review, a big thank you from all of us. We love nothing more than knowing ours clients are happy. Darren has been cutting my hair for a while . It is always a relaxing experience thanks to him and all the staff. Hi Jane, thank you for a great review, its alwats appreciated.